But in Denver, however, it isn't just startup companies benefiting from the use of virtual offices. Other professions that have been known to run on a virtual basis include attorneys, accountants, consultants and non-profits. As a top-ranking virtual office provider, we at CityOffice offer virtual offices around the world and across the United States. Our virtual office center in Denver is located in the heart of Highlands Ranch Business Park, a sought-after business location surrounded by residential homes, parks, and open land. The Highlands Ranch community was founded in 1981 and encompasses a total of 22,000 acres. Just off the C-470, our center offers an ideal location for commuting tenants. Our facilities, which are found on the fourth floor of a modern, four story glass and sandstone building, consist of conference rooms, serviced offices, and a cyber cafe with modern telecommunications equipment. The building offers expansive views of the Rocky Mountains and downtown Denver, which is 12 miles away from Highlands Ranch. Located nearby the Denver Tech Centre and golf course, there is also an express bus service to downtown Denver. The serviced offices in this building are perfect for small businesses that don't require large spaces. Virtual office services for Denver companies can be made custom to each company's unique requirements. You can visit us at CityOffice to learn more about our available virtual office services. Choosing a serviced office at our Highland Ranch Business Park location has another benefit: it’s nearby amenities. With residences, schools, and parks nearby, executives at this location gain the benefits of a quiet work setting while also being nearby many restaurants and coffee shops, stores like The Home Depot, Michaels, and Walgreens, and more shopping in the Highlands Ranch Shopping Center. The UPS Store is also conveniently located nearby to handle your business' shipping needs. Highlands Ranch Library is also within a short driving distance from the business park. 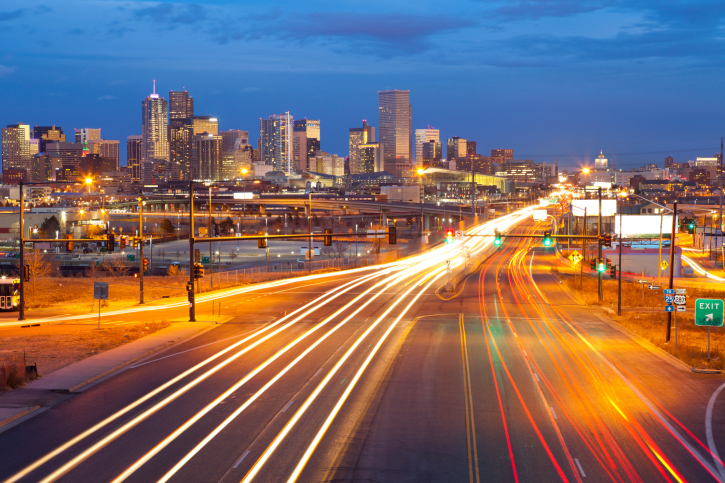 Denver International Airport is roughly a 40 minute drive from the office building, and downtown Denver is about a 25 minute commute with quicker access to the suburbs of Centennial, Englewood, and Littleton. Highlands Ranch, as you see, is an ideal location for a cost-effective virtual office space that also offers the benefit of convenience and an easy commute to the surrounding urban centers of Denver. Create an effective remote business with our telephone answering and call patching services, and make an impression with this Denver business address. For more information about how a virtual office can benefit your Denver business, Contact Us Here.